The digital nomads of today carry more gear with them than ever it seems. So naturally, we are always looking for more organized ways of carrying it all. 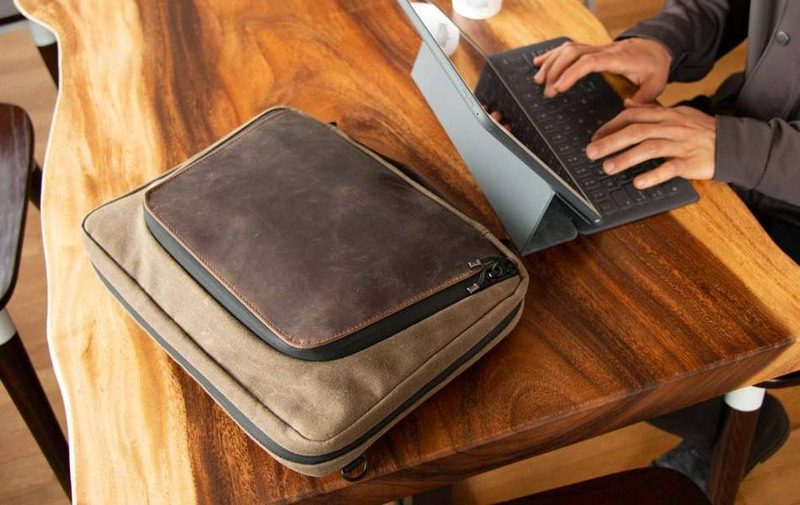 The Waterfield Tech Folio has a pocket for every gadget. It's perfect for everyday carry and storage for adapters, dongles, cords, cables, power chargers, SD cards, external drives, earbuds, phone, tablet, and much more. It's perfect for travelers or business professionals. Quickly store your uncoiled cords and bulky as well as slim devices. Keep everything organized and ready for when you need it.